Contrary to popular belief, e-commerce empires aren’t built on the internet alone. There are real world steps that need taken to ensure success. This brief guide will share four steps that any web entrepreneur can take to step their game up to the next level. Naturally, most of the tips you read about improving your web ventures cover stuff that you do online. There are tips on web design, creating good content, engaging users, targeting your niche, and everything in between. And all of this stuff is important. Equally important, however, are the steps you take offline to bolster your reputation and improve the legitimacy of your operation. Despite often being associated with traditional brick and mortar operations, these offline actions are actually basic steps that every serious business should take. Without them, it’s difficult to differentiate serious, established organizations from those that merely exist on the internet. Why does this matter, you ask? Well, for a variety of reasons, but mostly because anyone can get set up online and claim to run a business but not everyone takes what they do seriously enough to go the extra mile and establish themselves. And as consumers deciding who we’re going to do business with, wouldn’t we rather work with organizations that are established and care about their reputations? Of course we would. When it comes to buying goods, making investments, developing partnerships, etc. legitimacy matters. By following the four steps outlined below, you’ll be able to take your venture from obscure blog to budding enterprise, instantly bypassing the millions of people who aim simply to exist on the World Wide Web. While some of these steps do require some capital, none are too expensive or out of reach for the average site owner. It’s easy to accept payments as an individual on PayPal or add your would-be company name to the footer of your blog, but actually registering a legal business entity is the legitimate way to go about these things. For a few hundred dollars you can register an LLC with your state and begin doing business in the name of that organization. From your domain registration to the name of the company that appears on your site, having a legal company behind your venture can be used a lot of different ways. If you need help, check out Legal Zoom, who will walk you through the entire process for a fee. You don’t have to rent office space or expose your home address to establish a mailing address. All you need to do is register a P.O. Box. If you have already registered your company as described in step one, you can register a P.O. Box in your business name and use it to accept snail mail. Once this is done, you can share this information on your website, business cards, directory listings, etc. and help show the world that you exist beyond your website. A service like Google Voice can be used to obtain a free telephone number, and a small business answering service or call center can be used if you want to maintain a professional image when people call your line. If you want to keep this free, though, you can simply record a professional voicemail greeting and ask that callers leave a message. Technically all of this can be done online, but picking up a telephone and calling someone is still viewed as an offline activity, which is why I have included it in this list. How you spend your time offline can have a serious impact on your business, and rightfully so. By joining organizations like the Chamber of Commerce or a local rotary, you can put a face to your business and network with other professionals in your community. Invariably, these offline relationships translate into increased online exposure, as the connections you make share your information with their networks and help enhance your reputation. As I said, all of these steps are pretty basic, and they are things that business people have been doing forever. However, with the current focus on web-based businesses and online enterprise, many of the basic steps for establishing a business have been forgotten. By taking the time to focus on the structure of your business and your offline profile, you’ll catapult yourself ahead of the competition and be on your way to creating a real organization, not just another e-commerce website. Are there other steps you have taken offline to enhance your online business? Please share and help improve this list. Ecommerce has transformed the market place and now with a global population there is latterly a marketplace every conceivable product or server. It offers a level of convenience, more in terms of searching for the right product and is now preferred by most rather than going from store to store, often driving for miles between destinations. This need for the time deprived customer is fulfilled by ecommerce sites where they can find the best prices and available stock and the site owner gets to make a sale. Agreed shopping online may not be as much fun and the idea of impulse buying and the inability to touch and feel before you buy has been lost in the ecommerce world, but those who buy here are not complaining, even though the websites they use may not be the best. A closer look at websites makes you realize what the selling game is all about. Most websites take advantage of customers who simply needs the products that you offer. If you own an ecommerce store you will find that the vast majority of your visitors will never buy and those that do eventually make a purchase will only do if they are reasonably impressed. It is for such customers that some changes are needed and a few conditions need to be fulfilled. Use familiar layouts- Customers look for familiarity while buying online. They are more comfortable with sites where they understand the ordering process, of adding items to shopping carts, navigating through the site and paying for goods, rather than start afresh and find the site navigation confusing. Thus a good tried and tested website design is preferable. There is a reason why the majority of sites stick to the same basic design principals and that is because they have been tested and found to work so it would be wise for you to follow their lead. Simple and easy buying process- Customers would hate to use a site where they have to meander through a signing up process, answer questions and cross other hurdles before they get to order a product. For them the best site to buy from is the one that directs them straight to the ‘buy now’ button and offers an exit to checkout for payment there and then. Quick buys are the clear preference. Details about products and services- Websites must give product details like specifications, sizes, prices and so on, very clearly, or the customer may opt not to buy. The online buyer has a clear idea of what he wants and since he cannot see the product he has to ensure that It meets his requirements. So websites must post details that are conspicuous and very easy to find. Pictures help- Sites that provide clear images from different angles help customers and make them decide sooner. Hence these can be used to increase sales since images are the next best thing to seeing the product in real life. With these additions or modifications to ecommerce websites, online shopping can become easier for the customer and bring more customers to the site owner, giving you the opportunity to turn those visitors into customers. This is a Guest post by Neil Jones, who Specializes in launching ecommerce sites, he is currently plying his trade as head of marketing for eMobileScan. With 18 websites based all around Europe they are on course to be one of Europe’s largest online retailers of Industrial handheld computers and label printers like the ES400 or the Motorola MC9090. Neil has been an online marketer for the past 6 years and in that time he has owned and run a range of sites all built around the ecommerce platform. Because commerce is becoming centered in an online market, it is becoming more essential for businesses to consider having live chat on their websites. The benefits of online shopping include the ease and convenience at which items can be purchased. People no longer have to leave the home or office to buy products. In the ecommerce generation, consumers can have the products shipped directly to them or a store for pick up. 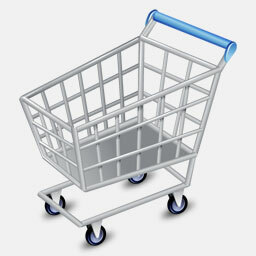 Unlike storefront shopping, online shopping can take place at any time of the day. Unfortunately, the one thing that is missing from the online environment is a sales person that can assist customers with purchases. Customer service is as essential as having a fluid ecommerce suite. Many online businesses are employing answering services and virtual offices continue to manage their sales & customer service lines 24 hours a day as well as adding live chat to their customer service strategy. 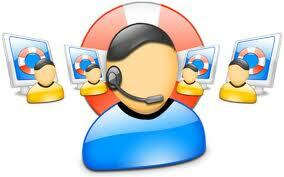 Many times, the live chat is coupled with the answering service extending web chat hours to 24. Because of this, is now possible for online businesses to have an accessible sales person for their items at all times. Live chat is a way of making sure that customers can always get in contact with someone. Telephone communication is still a viable option, but live chat is great for quick answers, immediate response, and consumers who prefer a more passive method of communication. This may seem silly from the business end, but many individuals no longer like talking on the phone if they do not have to do so. The use of text messages, emails, and video chat has greatly reduced the time that many people spend on the phone. Embracing live chat is not costly and it is adding an extra method of communication for the growing subset of the population who prefers typed communication. It offers a quick communciation because someone is there and ready to answer any questions without forcing the customer to leave the site or perform an extra task. Live chat is especially important for businesses that use email as the only form of customer service. It can take a day or more for an email to be answered depending on the number of emails that the business owner receives. This can result in a loss of sales because this method requires customers to come back to the site at a later date in order to complete a purchase. Impulse shopping serves as a major source of initial online sales. If for some reason the impulse has to be halted while waiting for help, it is a possibility that people will not. An instant messaging service can help “close the deal”. The use of live chat is a cost effective means of getting and retaining customers. Just as people are more likely to return to businesses with helpful sales staff, people are more likely to return to an online store where help is immediately on hand when desired. For 24 hour service, a live chat module can be combined with an answering service opening up around the click customer service.